But honestly, the abundance of love that I wish for you, you already have inside of you! It’s there, waiting for you to love yourself, to share your love and to shine your heartlight with love to the world around you! I hope that you have a day filled with reminders of the love that we share, the connections that continue and the gratitude for all that we’ve enjoyed! May your day be as special and beautiful as you are! Happy Valentine’s Day dear friends! I wish you love and happiness today and always. 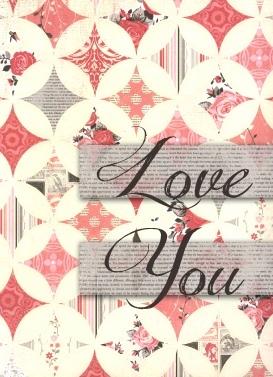 May you always remember how cherished you are to those who love you (and to me!) and how grateful and honored I feel to be connected with you! May we send out kindness and love to those around us today and always. May we all feel the infinite love of God, the Universe, and the Divine in every moment! May we love ourselves and others. May we cherish our connections (both past and present) and increase them exponentially every day by our kindness, generosity of spirit and gratitude. May we remember how loved we are, every single moment of every single day. You are loved, dear friends. When you don’t have a ‘valentine’ to love on Valentine’s Day it can feel awkward, especially if in years past, you did have someone whom you loved, but for whatever reason, you are not together anymore. Separations can be due to a variety of reasons which makes it hard when it seems like the whole world is celebrating a day of love with their sweetie. But, I like to think of Valentine’s Day as a holiday for cherishing the relationships we have with others! It doesn’t need to be only romantic love that we celebrate that day! Not at all! For me, since my circumstances have changed, I celebrate Valentine’s Day with gratitude for my children, my family, my soul family and my friends who have filled my life with love. In fact, let’s celebrate Valentine’s Day together as you’re a part of my blogging family filled with love! Thanks for being here with me. I celebrate our connections today too! So tomorrow, when the heart rises to meet the day, smile! Greet the hearts and flowers day with gratitude for all of the love you have shared on your life’s journey! Give thanks for the past loves, the present loves and look forward to the future loves! But above all, enjoy the present love which envelopes your heart and soul today! Enjoy the little kindnesses that are shown to you and smile to pass along those kindnesses as well. We could have a lovefest here on Planet Earth if everyone, for just one day, loved all humankind. Wouldn’t that be the very best Valentine’s Day ever? So how about you? How are you celebrating Valentine’s Day? 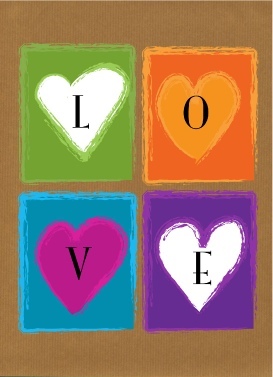 Valentine’s Day evokes thoughts of love, happy anticipation of cards, flowers and candy sent and received. But without the commercialism tied to Valentine’s Day, it’s simply the 14th of February. If you haven’t a Valentine to share the day with, then what do you do? Ask yourself, when you strip away the fluff of the holiday, what’s left? What lifts your heart? Do you know? What makes you happy? Who do you love? What do you love to do? What and who brings incredible joy and love and laughter in your life? How does your heart swell with love, gratitude and presence? Do you know how to lift your heart? It requires a bit of self-discovery if the questions above weren’t easily answered by you. But I believe that this Valentine’s Day, the love should be in your heart for you as well as for others. 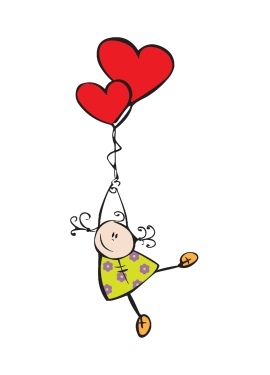 A Valentine’s gift to yourself ~ pamper yourself by spending some precious time with someone who lifts your heart ~ YOU! Write yourself a list of what you enjoy doing, what you love, and what swells and lifts your heart. Is it the joy of cooking? Is it the smell of recently mowed grass? Is it watching snow fall gently to the Earth? Is it creating and singing beautiful music? Is it the warmth of sunshine on your face? Is it in the melody of laughter? Is it in fur therapy ~ the love and bonding with a pet? Is it in the bonding with your family and loved ones? Or is it simply in awakening at dawn to a new day full of possibility? Write your list of 10 ~ and enjoy a few of those precious gifts with yourself. Share your love with your own heart and then let your love be shared with others. As we’ve heard before in a song, “Love the one you’re with” and that’s ALWAYS YOU! I recently heard The Beatles’ song, All You Need Is Love, again and I couldn’t help but amazed by the lyrics. Of course, I knew the song by heart, but in actually LISTENING to the words, my understanding deepened so I thought I’d share with you since Valentine’s Day is around the corner. Do you feel the impact of the lyrics like I do? Take a moment and go back in time, to 1967 and see if the message holds you captive today! There’s nothing you can do that can’t be done. Nothing you can sing that can’t be sung. Nothing you can say but you can learn how to play the game. Nothing you can make that can’t be made. No one you can save that can’t be saved. Nothing you can do but you can learn how to be you in time. All you need is love, love. Nothing you can know that isn’t known. Nothing you can see that isn’t shown. Nowhere you can be that isn’t where you’re meant to be. Love is all you need (love is all you need). She loves you, yeah yeah yeah. *Thanks to various internet sites for the lyrics! 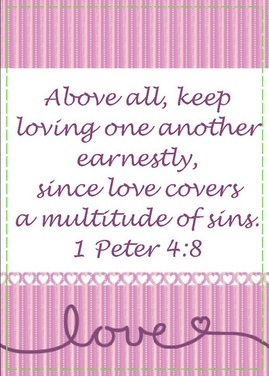 since love covers a multitude of sins. Please check them out at: click here for Skit Guys! I would love to attach the newest video called Tell Her that they previewed in the email newsletter they sent, but without paying licensing fees, I can’t. But you can go see the preview on your own ~ you won’t be disappointed! It’s a great reminder to use your words this Valentine season ~ and if you can’t SAY what’s in your heart, then by all means, WRITE it! Click here to send a free card! 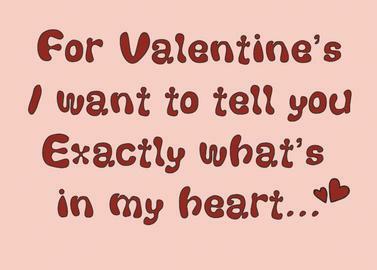 When you hear the words Valentine’s Day, what comes to mind? Are you excited to have the formal holiday opportunity to share your love or is it more of a fearful reaction combined with the wonder of what to say? Or is Valentine’s Day one of those holidays which you wish would simply go away and not be, well, so global?! Do you go into the store walk the aisles trying to find the right card with the right image and then get annoyed when the card of your choice is $4.99? Or do you pick up cards only to put them down because they aren’t quite right? Or are you like the SkitGuys below? This is a good Monday giggle! I’ve got the solution ~ SendOutCards! Stay on your computer (or use the app on your phone)! 4. Add a gift if you choose to and then click SEND! Voila! Your card and gift are printed and mailed for you so that your recipient gets a real paper card in the mailbox for Valentine’s Day! You only pay for cards and gifts you send…the account is free! Cards cost under $2 plus postage! YOU are a ROCKSTAR on VALENTINE’S DAY!